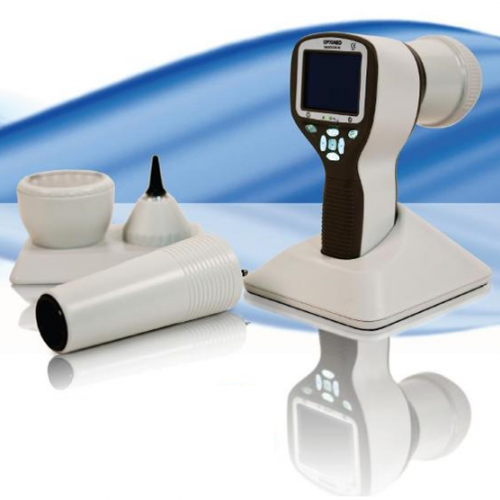 Optomed Smartscope M5 is a digital medical camera that provides general, ophthalmoscopic, otoscopic and dermatoscopic imaging with one hand-held device. This multipurpose digital imaging device weights only 400g and powered with a battery it gives you the freedom to move around and take the device with you to any location. 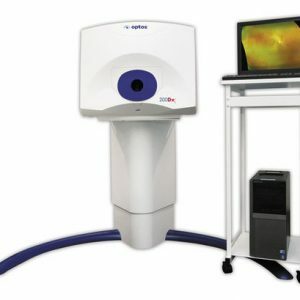 Digital still and video images created with Optomed Smartscope M5 allow making accurate first diagnosis and planning consistent follow-up treatment. Optomed Smartscope M5 is easily adopted into daily examination routines and connectivity to any patient database system enables fluent image data sharing e.g. for consultation purposes. The device comes with a 2GB SD memory card and pictures can be easily transferred to your PC by placing the device to its cradle which connects to the PC via USB connection. The 5 megapixel sensor and up to 2560 x 1920 pixels resolution guarantee the quality of your pictures. Each of our 4 attachable optics modules has its own light source and adjustable illumination levels. Optics are fast and easy to attach and detach with bayonet connectors. The advances in M5 compared to M3-2 are new sensor enabling improved picture quality, higher battery capacity and keyboard lights that make using the device in a dark room easier. Optomed Smartscope M5 offers non-mydriatic fundus imaging without the need for dilation drops with EY2 and EY3 optics modules. With the attachable ophthalmoscopic lens Optomed Smartscope® EY3 enables non-mydriatic eye fundus examination with a wide 45⁰ field of view. With digital still and video images the appearance of optic disc, macula, and retinal vasculature can be documented and screened for ocular lesions and anomalies. Light weight and portable design allow the camera to be used in field conditions outside the office and examining also patients lying down. The device can be mounted on a slit lamp holder with a special adapter to give additional stability to imaging. 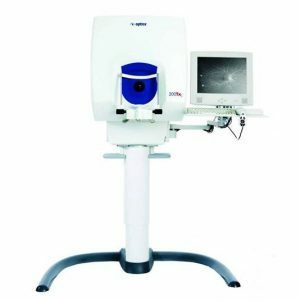 With the attachable external ophthalmoscopic lens Optomed Smartscope M5 provides high resolution digital image data of the surface of the eye and areas directly surrounding the eye. 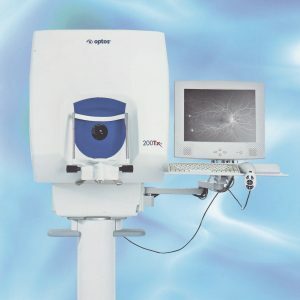 The cobalt blue LEDs allow fluorescent imaging to detect a dry eye or any cuts or rashes on the surface of the eye. Light weight and portable design allow the camera to be used in field conditions outside the office and examining also patients lying down.